New video games for your PC typically cost $20-50 each. Its pretty easy to spend a fair amount of money on video games. If you're casual gamer then you might find yourself picking up a game on a whim at the store for $40 because the box looks interesting and then playing it a couple days and realizing its not as fun as you'd hoped. Instead of buying games you can find a wide variety of free high quality games for download on the Internet. A lot of the free games are developed as freeware which is software that is meant to be free and developed for free by volunteers. Many free games are developed commercially and then released for free later. Other games have some ads included or optional costs like online games with optional fees. Below I list several individual game titles that you might like to try along with some lists and resources where you can find many many more games. There are a wide variety of games available for free in many styles with very good first person shooters, large Massively Multi-player Online games where you can interact with 1000's of other people from around the world, strategy games that let you manage your own empire and fun puzzle games. Whatever your taste in games you can find something for free. A few notes about the games listed: Most of the games below are pretty large in size and I wouldn't recommend trying to download these without broadband Internet. To the best of my knowledge these games are all legally free with no illegal copies or copyright violations. I have not tested downloading these games and I haven't played many of them. I'm not listing shareware titles here since shareware is not completely free and generally only a trial version or limited functionality. 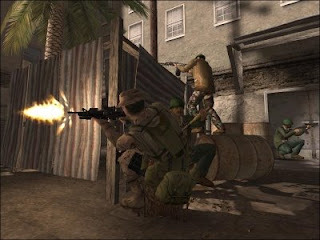 Americas Army is a first person shooter (pictured to left). It was developed by the U.S. Army and its given out free. America's Army has a review score of 8.4 out of 10 on Gamespot. This is another first person shooter game. It is built off the Quake engine and distributed free on the Internet. Second life is a Massively Multi Player Online (MMO). The game allows you to interact with people from all around the world. The game has 16 million total players of which over 1 million people logged into the game within the past 30 days. Downloading and playing the game is free but there are optional purchases using real world dollars. This is another MMO like 2nd Life. Entropia is set in a sci-fi universe. The game is free to download and play, however if you want to buy money in game it will cost you. I tried this one out myself a while back. It seemed like a pretty good game. The graphics are not quite up to par with today's technology. You also need to be careful you don't get pulled into paying for money in game. 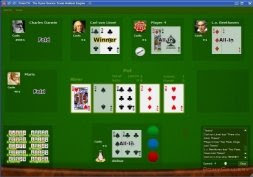 Poker TH is a free version of Texas Hold'em poker (pictured on right). You can play online against other players or in single player mode against the computer. Electronic Arts has a classic version of its hit Sim City on their website. SimCity is a simulation about city building and management. The original Sim City is a game I played a lot in the 1990's on the old Macintosh computers. This is an educational game hosted by the United Nations. The game's story line is about fighting hunger. 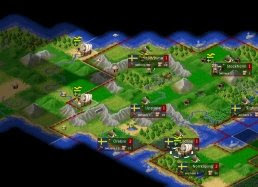 This game (pictured left) is inspired by the hugely popular Sid Meyers Civilization games. Civilization is my all time favorite game franchise. I haven't played the FreeCiv version but it looks almost identical to Civ in look and design. This is another simulation from Sid Meyer. Railroad Tycoon lets you manage your own railroad empire. The original version of the game is free for download at the developers website. Look for the 'Free Full Game Railroad Tycoon' button at the bottom of the page. This is a real time strategy game set in a post nuclear war setting. This game was originally a commercial game for the PlayStation platform but has now been released for free on multiple platforms. This is a commercial game that has a free version available. You can download a copy that has advertisements in it sponsored by the U.S. Air Force. The original Command & Conquer game was made available for free download. You can get a copy via this site. This is a free game similar to the popular Guitar Hero title. It is a mus ic simulator where you hit keys in time to play along with song. This site has Tetris in flash to play on your web browser. 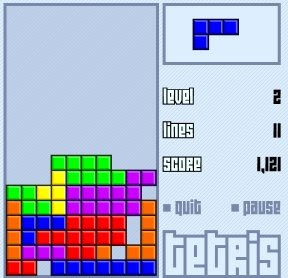 Tetris is the classic puzzle game where you arrange falling blocks into rows. Tetris is one of my favorites. The online game plays just fine. This is a long list on Wikipedia of commercial games that have since been released as free copies. Commercial games generally have good professional polish with quality graphics and audio which makes for a better gaming experience. However many of these games are pretty old with many from the 1980's and 1990's. So they show their age. Also a number of the games have ads in them to support the free release. This is another Wikipedia list of games. These are freeware games which are games developed and released for free. In addition to 2nd Life and Entropia listed above there are many other MMO games you can play for free in one way or another. This Wikipedia list has games that are completely free, ad supported or have optional costs in game to purchase items. The website has 100's of online flash games you can ply on your browser plus many games you can download. They have games in every category. This site is good for puzzle games and card games. The site is funded by advertisement. This advertisement free site has pointers to a number off online flash versions of classic video games. One of the games is Tetris listed above. Download.com has various Windows and Mac programs in various categories. If you go there you can browse the Games category for all the titles. Many of the titles there are shareware or limited demos. However you can find many Free games there as well. You may have to sort through a lot of patches, mods and skins which are not complete games but just enhancements to games.